China has created an “air-defense identification zone” over an area of the East China Sea, covering islands that are also claimed by Japan. China’s Defense Ministry said aircraft entering the zone must obey its rules or face “emergency defensive measures”. The zone came into effect from 10:00 local time on Saturday. 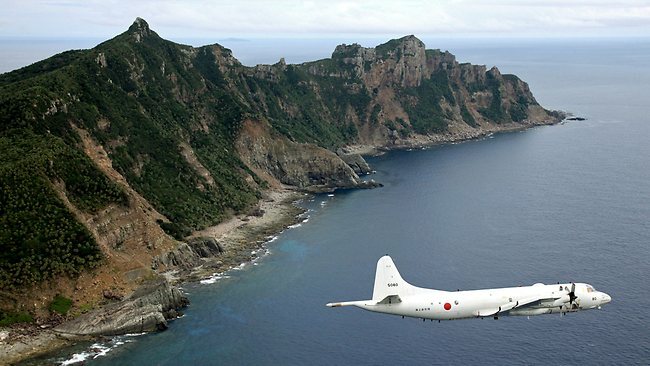 The islands, known as Senkaku in Japan and Diaoyu in China, are a source of rising tension between the countries. In its statement, the Defense Ministry said aircraft must report a flight plan, “maintain two-way radio communications”, and “respond in a timely and accurate manner” to identification inquiries. “China’s armed forces will adopt defensive emergency measures to respond to aircraft that do not co-operate in the identification or refuse to follow the instructions,” said the statement. A map posted on Twitter by state news agency Xinhua showed the zone covering a wide area of the East China Sea, including regions very close to South Korea and Japan. Responding to questions about the zone on an official state website, a defense ministry spokesman, Yang Yujun, said China set up the area “with the aim of safeguarding state sovereignty, territorial land and air security, and maintaining flight order”. “It is not directed against any specific country or target,” he said, adding that China “has always respected the freedom of over-flight in accordance with international law”. There has been no response so far from Japan. The islands have been a source of tension between China and Japan for decades. In 2012, the Japanese government bought three of the islands from their Japanese owner, sparking mass protests in Chinese cities. Since then, Chinese ships have repeatedly sailed in and out of what Japan says are its territorial waters. In September this year, Japan said it would shoot down unmanned aircraft in Japanese airspace after an unmanned Chinese drone flew close to the disputed islands. China said that any attempt by Japan to shoot down Chinese aircraft would constitute “an act of war”. Last month Japan’s defense minister, Itsunori Onodera, said China’s behavior over the disputed East China Sea islands was jeopardizing peace.